Here the shysters go again. More so called 'proof of the holocaust' that is as fake and stupid as it gets. 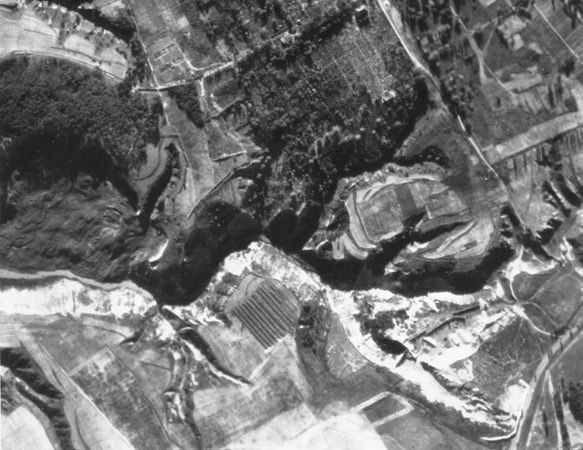 We have the site of an alleged 'extermination of 34,000 Jews' supposedly shot into Babi Yar ravine shown. Original linked photo with saved photo below. caption: Aftermath of the Babi-Yar massacre. At least 34,000 Jews died here in late September 1941. Take a look. What do you see? Of course German soldiers would just hang out, chatting with women witnesses right after an alleged massacre of those 34,000 Jews which is alleged to have been a secret operation, for which no human remains have ever been found. 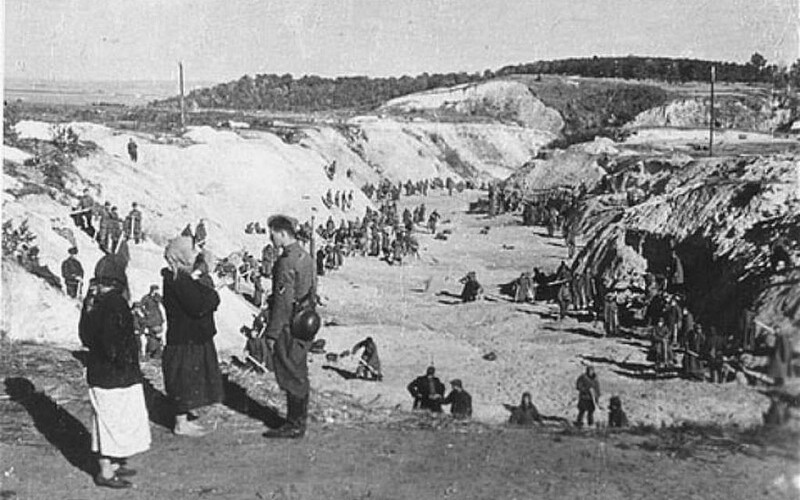 former Einsatzgruppen Members Reject Bizarre Claims of Mass Shootings / Babi Yar, etc. Nothing happening that would necessarily be happening IF the story was factual. Think about what you would be seeing if the Zionist lie was factual. 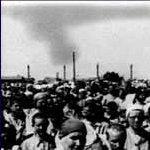 'What Happened at Babi Yar? Fact vs. Myth', Using air photos and wartime newspapers, Ukrainian writer MICHAEL NIKIFORUK attacks a few myths about a wartime atrocity. It's no wonder that The Usual Enemies of Free Speech want Revisionists imprisoned, attacked, & persecuted. The 'holocaust' is so incredibly easy to debunk that suppression of inquiry into it & elimination of free speech about the obviously fake narrative is their only recourse. No alleged human remains of millions in allegedly known locations, no 'holocaust'. There must be some way of working out what this picture is all about. Is it even at Babi Yar? Is it close to Babi Yar? Obviously they are not removing bodies. Looks more like a load of people doing some sand removal to me. What do people know about this picture/location/activity? 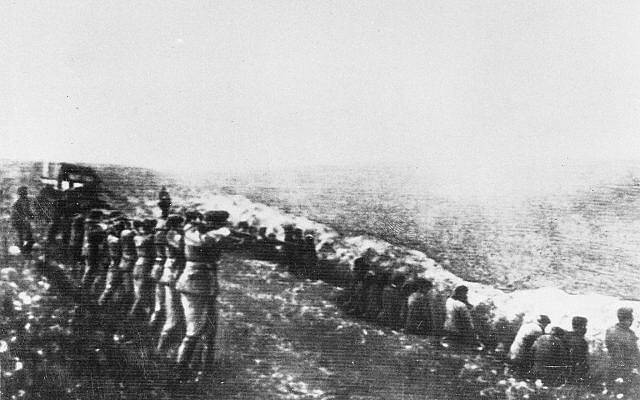 caption: Photo taken from the body of a dead German officer killed in Russia, showing a Nazi firing squad shooting Jews in the back as they sit beside their own mass grave, in Babi Yar, Kiev, 1942. Only lies require fake photos. As others have noted, the OP photo simply looks like a standard work-detail, an activity one might commonly see anywhere at anytime on the Eastern Front. The soldier speaking to the women appears to be a regular Army (Heer) member, and not SS, as one would expect...or as the stories usually go. As we always note, an otherwise unremarkable wartime photo only becomes "sinister" when sinister claims are attached to it. Nothing whatever about that picture suggests any wickedness is afoot to me.